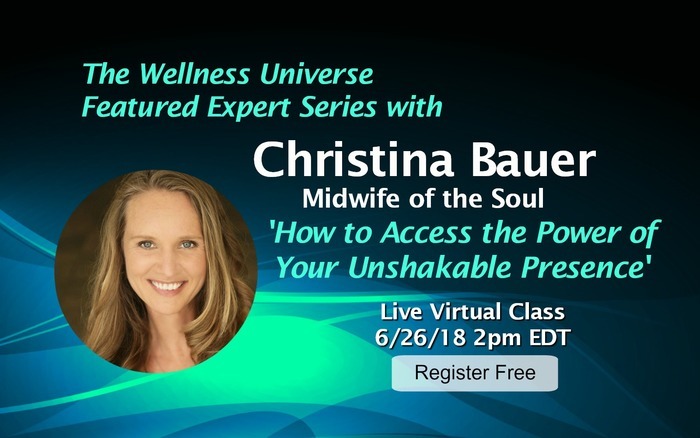 Join WU Expert 'Midwife of the Soul' Christina Bauer in her Workshop that will allow you to stop chasing your symptoms and live with happiness and peace as your daily ritual. Most of us have spent a lifetime with our focus on the outer things of this world with little or no awareness of our inner world. The truth of the matter is that the inner world is the only place this Peace, Happiness, Fulfillment can be found.